Thank you for visiting with us. You have reached the premier FL homeowner insurance resource. With us, you will find the perfect policy that you've been searching for. We'll tailor your policy to suit your unique needs. You'll save money and your home and property will be well protected with rock solid coverage. We Offer 37 A-Rated Homeowners Insurance Companies! Our policies are for Floridians, by Floridians. We are based right here in the sunshine state! Our experienced agents are dedicated to shopping the market for you to locate which specific company is offering you the best rate in your area. Even if you don’t want to speak to an agent, that’s not a problem. We’ll still show you a listing of all FL homeowner insurance companies right on your computer. This will enable you to research these companies own your own. Then, you may call us if you are interested in applying or if you have any questions. All FL Homeowner Insurance Discounts Applied! When you request a policy from us, we make sure to apply all applicable discounts in which you are eligible for. We accurately quote homeowners policies in an efficient manner. Our agents are available anytime. Simply call us at 352-200-2066 if you have questions or if you would prefer to receive a quote over the phone. Another great option would be to answer some basic questions to your right and receive your quote online. The questions are very easy to answer and our quotes are laser accurate. Maybe you are not quite ready to purchase a policy yet. No problem at all. We have a large assortment of FL homeowner insurance reading material in our learning center to help you better familiarize yourself with various homeowners topics. It can all be found right here. Make yourself at home and enjoy your stay. Again, we thank you for coming and considering FLHomeownerinsurance.com as your next and final homeowners policy source. We are excited to have you as a future client of ours. 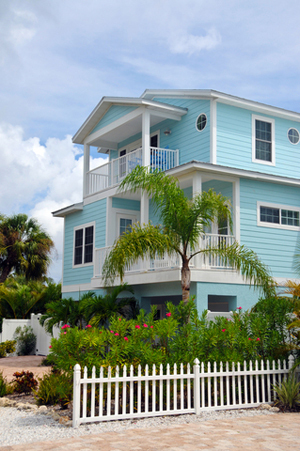 Is It Possible To Obtain Cheap Home Insurance In Florida?